1 December 2018. Shades of orange on a gloomy day. 66783 The Flying Dustman stands with her train, the 6H11 1133 Bletchley CEMEX - Wellingborough Yard underneath Bletchley flyover having reversed out of the stone terminal. 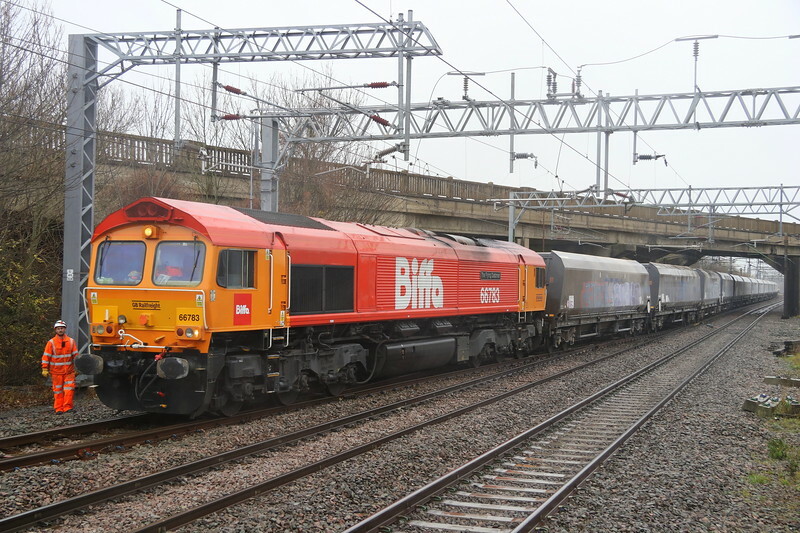 Note the additional front light and drawgear from her previous Lickey Banker duties when numbered 66058.